This is a new home set on a hillside above Stinson Beach and the ocean, with site constraints suggesting a layered linear design running roughly parallel to the slope. A large portion of the site was required for an elaborate waste treatment system, a butterfly preserve and a height limit requiring a rather low roofline. Natural interior light was important and a long spine, running the length of the building, collected natural light through clerestory windows and a continuous diffuse glazed skylight, while providing an interior circulation element. Roof forms step down, following the hillside and over various interior spaces, in order to keep within the height limit. 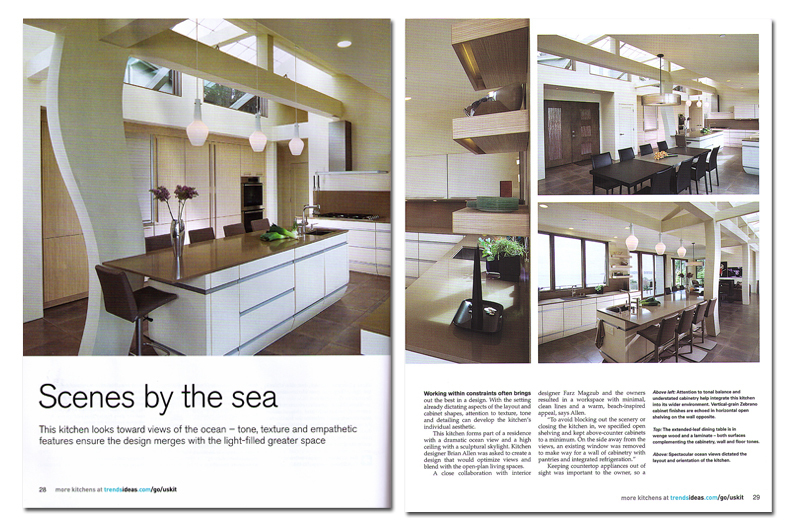 Natural materials and simply designed details provide the desired contemporary feel of the home. Photos of the working model of the residence may be found on the modeling tool page. 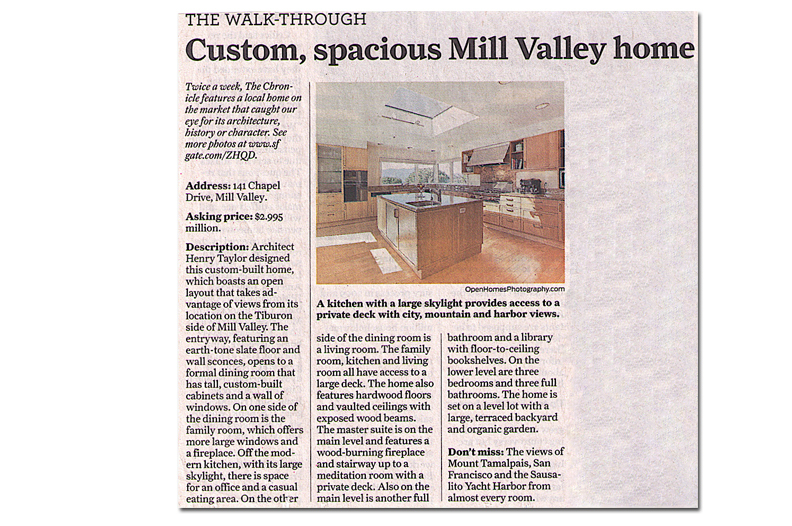 The San Francisco Chronicle featured the Mill Valley Home. 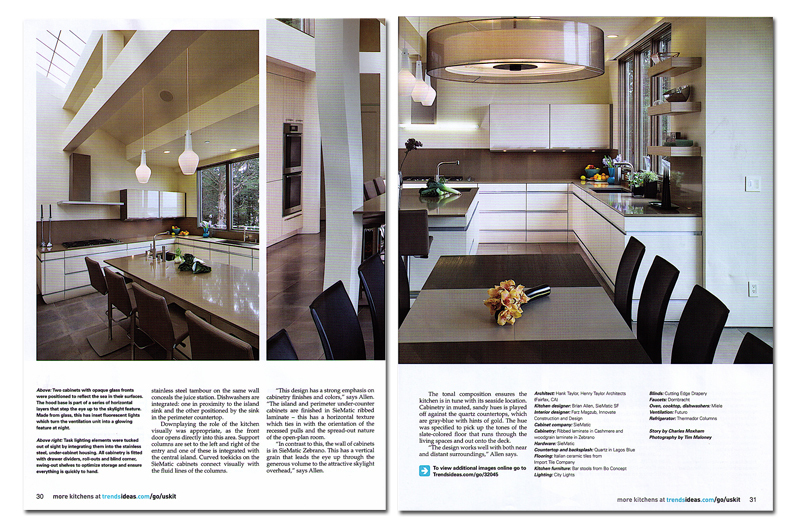 The spacious, open floor plan was featured for its architecture, history or character. 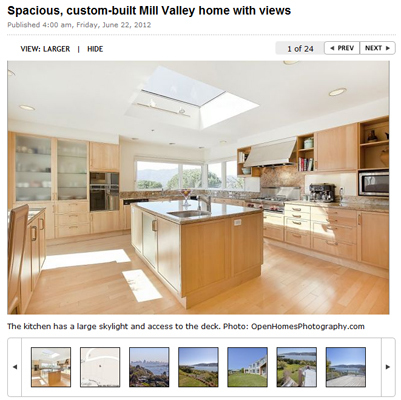 Click here to see more images in our portfolio section.